Bruno 85" BenchBruno 85&quot; Bench, alt="Bruno 85&quot; Bench, "
Print Stylish enough to become your next conversation piece, but comfy enough for an afternoon snooze. 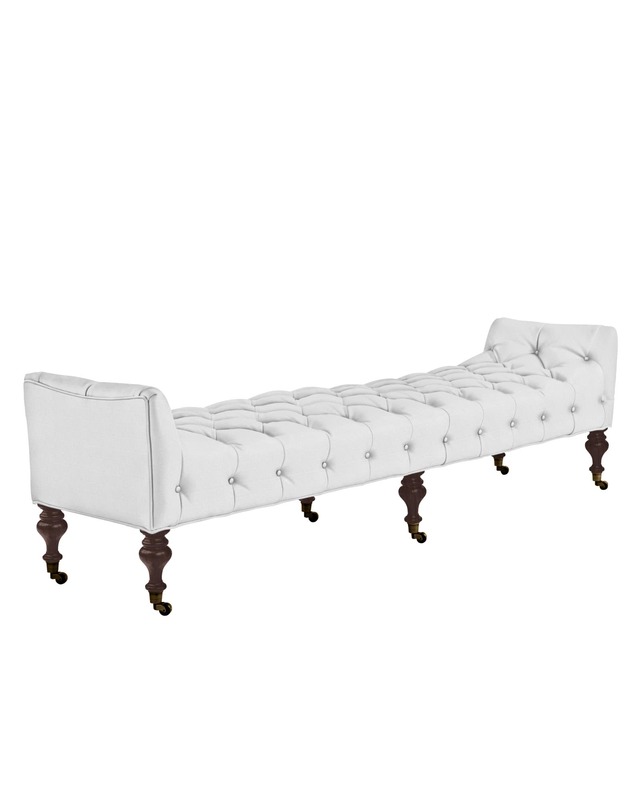 This elegant bench is a spin-off of one of our favorite chairs, complete with the same generous lines and traditional tufting we fell in love with. Kiln-dried solid hardwood frame for lasting beauty. Hardwood frame is corner-blocked for stability, a construction technique reserved for the finest furniture. Padding is made with soy-based foam wrapped in recycled synthetic fibers. Customize the look with our signature leathers and upholstered fabrics.